[S]ince 1996 Steve Deckert has been designing state of the art tube amplifiers the old fashioned way, with a dedication and passion that many designers abandoned years ago. He builds his amps by hand one at a time, uses all premium parts and point to point wiring with no circuit boards, and he takes no shortcuts in their manufacturing process. Not only are his products well built, but they are sold at prices that most enthusiasts could afford, and they are backed with a lifetime warranty. Decware sells all its products factory direct, and has been very successful with its business model. Most products are custom made, and it usually takes from eight to twelve weeks from the time you place the order to you receiving your amplifier. Customer satisfaction is a major strength of Decware. In November of 2010, I used the Audeze LCD2 as one of my primary headphones and felt they could benefit from more power. 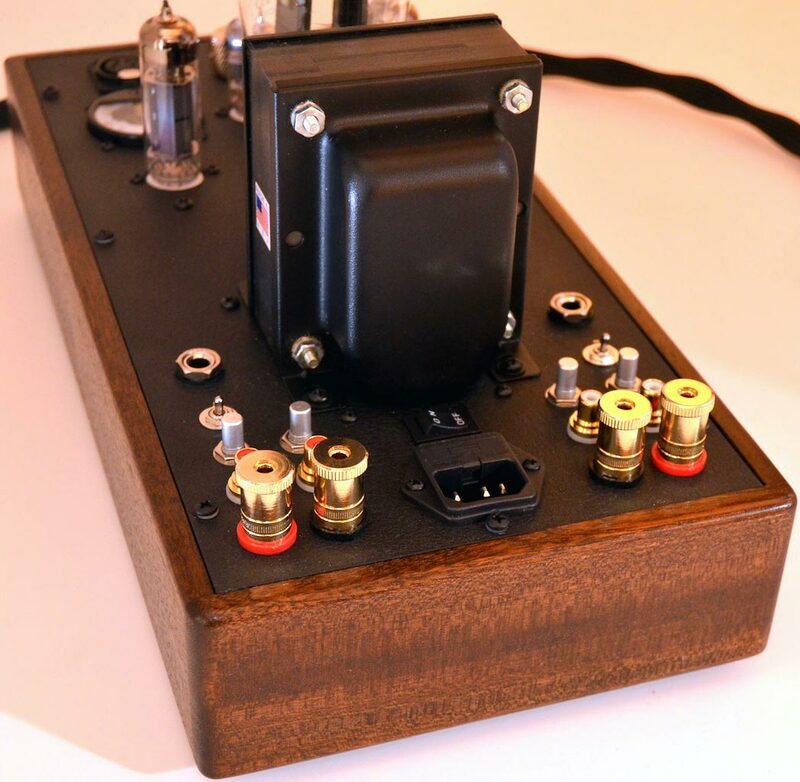 I called Steve up and asked him if he could build a custom headphone jack in my Taboo MKII. The Taboo was a very successful 6-Watt speaker amp that could be used either as a standalone amplifier or with the Decware CSP2 preamp. Since I owned the CSP2, I figured this may be the perfect match for the Audeze LCD2.2 and any other headphone that needed power. Steve was receptive and went ahead and designed the first Taboo MkII headphone amplifier for planar headphones. The Taboo was a major hit in the headphone community and has been a very successful product for Decware. Fast forward to 2012. Steve felt he could improve upon the very successful MKII and redesigned the amplifier from the ground up. There were so many changes in the new design it could easily have been rebranded but instead he called it the MKIII. This could be the last revision for the Taboo, as Steve told me that he felt he has maximized what was possible with the design; redesigning a successful product could be risky for a manufacturer. The Taboo has been very successful and has a cult type following. In speaking with Steve he felt the changes in the design he wanted to implement were well worth the risk, the improvements would create the ultimate headphone amplifier and would drive high efficiency speakers as well as headphones. The new Taboo MKIII had the same chassis as the original MKII, but there was a new retro looking black plate replacing the traditional white plate used in other Decware designs. The new black plate was very sharp and much nicer looking than the white plate. The new Taboo was fully loaded with a number of standard features, such as two meters in the front that showed how well your power tubes were matched. This was a great tool especially for people who did not own a tube tester, as it would reveal whether the tubes one has purchased were matched well, but will also let the owner know when it’s time to replace tired tubes. The amplifier had balanced outputs utilizing either a dual 3-pin XLR or a single 4-pin XLR which allowed for the use of balanced headphones. In addition to the XLR, there were two single-ended outputs so you could listen to multiple headphones at the same time as well as driving speakers. It had two inputs so that you could use two sources or preamp as the volume control if desired; the Taboo MKIII was primarily designed to be used as a standalone headphone amplifier. The base was made of solid hardwood, and the standard base could be either in Walnut or Black. Maple or Cherry bases could also be ordered for an additional $50. The review sample was in standard Walnut, and its price totaled $1,745. The original Taboo had a power rating of 6W into 8 ohms. The newer amp had a 1 ohm resistor in place and the power rating was now 4.6W into 8 ohms, slightly less than the MKII. Decware has the full power ratings for the different headphone loads listed on its website and the power varies with different headphone loads. The Taboo delivered 1.7W of clean power into the LCD2.2’s 50 ohm load and 1.6W into the Sennheiser HD800’s 300 ohm load. It could handle headphones ranging from 8-600 Ohms and would also handle more efficient speakers of 94dB or more. All my listening for this review was done with headphones as I did not have any high efficiency speakers. The Decware website also had the complete design notes as well as the manual available for downloading. The Taboo MKIII had a floating balanced output; the amplifier was still single-ended but would accommodate balanced headphones. The original Taboo had a single lucid mode, which according to Steve, was a natural cross feed that could be switched on or off and would give more of a mono sound that let you hear deep into recordings. The new MKIII also had the original cross feed but a second lucid mode stage that was an expander. It moved things around in the sound stage and gave a very wide and layered stage. The effect varied on recordings, and some will like it on other recordings, you may not want to use that function. The nice thing was that the switch could be engaged on the fly, so you could leave it on or switch it off very conveniently. Upon initial listening I noticed that volume was limited, so I called Steve and he arranged to have the amp picked up. He discovered that the problem was that a 100 ohm resistor had inadvertently been substituted for the specified 1 ohm resistor. Once this was corrected and the amp returned to me, it worked flawlessly. Decware was very fast in resolving the issue. The headphones used for this review were primarily the Audeze LCD2.2, Sennheiser HD800 and the Audio Technica AT3000ANV. I also used the Audeze LCD3 and Beyerdynamic T1 while comparing the MKII to the new MKIII. The LCD2.2 andHD800 were all balanced. The headphone cable was from Q and Norse Audio. 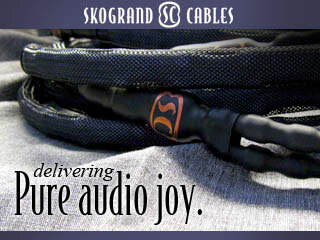 The source was the Oppo BDP95, and all interconnects were Audioquest Diamondback and King Cobra. Music varied from jazz, vocals, classical and rock. The other amplifiers that were used in the review included the Taboo MkII and Violectric V200. I’m glad to see your review is finally out, and it didn’t disappoint. As an owner of the Taboo mk2, I can’t wait to hear the mk3 myself. Keep up the good work. Thank so much and glad you enjoyed the review. This is really a top notch review and put this amp on my short list. I appreciate that it was evaluated in real world terms that helped me to put the amp in perspective compared to other amps. Thanks Matthew and I am very glad you enjoyed the review as well. another good review! keep em coming! Reading it, it was as if I was actually listening to the Amp as I was reading the review. Thanks Tom. I am glad you enjoyed the review. Iappreciate your kind words. Very nicely done Frank. I look forward to reading more of your reviews. 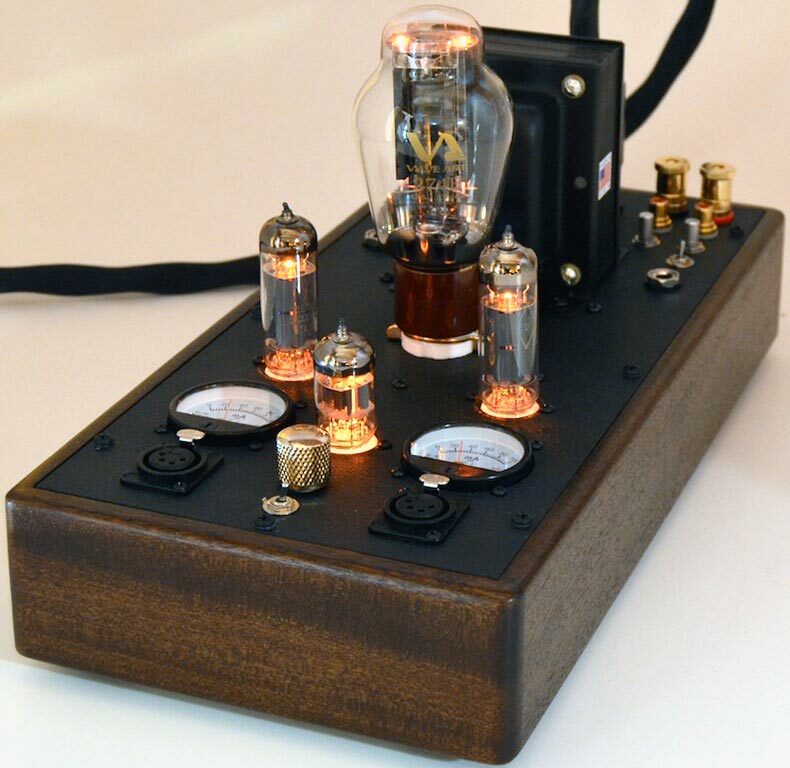 Excellent review of what should become a highly regarded headphone amplifier. Mine is in shipment as I type this and your review just makes me all the more excited to see that delivery truck!!! I really need to explore some of those tubes that you recommended. The stock tubes are excellent as well but the EL84 and the Siemens tubes really made the amp more transparent with better detail. The Phillips tube is excellent and available at Upscale audio. Great write up Frank! Looks like a killer amp and by the sounds of it, sounds just as great. Good job Frank. About a year ago I purchased the Decware CSP2+ pre-amplifier and the Taboo MKII. I purchased the LCD2 heaphones at the same time. At first I enjoyed the black background and the best volume control I have ever experienced. Later the V-Caps began to bloom, sporatically at first, but more and more they kicked in. It took the signal to a new level. Smooth, detailed and powerful; grin worthy. I was wondering if you used a digital source or a turntable for your review. I just acquired a modest turntable with a Shure v15vx cartridge that has expanded my soundstage. Listening to side one of Santana’s Abraxas album, the soundstage is more detailed and enjoyable than the digital version. My speakers never shout out with the Taboo. The music is contained. My friends put their ear close to my speakers and rave at the clarity. Final note, bad recordings sound bad. It seems the Taboo has evolved giving headphone listeners an affordable foundation for the high end audio experience. Thanks for the detailed comments. I used the Oppo BDP95 as the source. I no longer have any vinyl in my system. The differences between the Mk11 and mK111 are noticeable and the biggest change that Decware made was to focus on the MK111 as headphone amplifier to be used more so on it own while the first Taboo was designed primarily as a speaker amp and was designed to be used with the CSP2 as the preamp to increase the dynamics. you can still use the CSP2 as the preamp with the Mk111. The transparency and clarity is simple among the best I have heard so far in tube amplification. Fantastic review Frank! I’ve always enjoyed your writing style. The way you described the sound impressions, I could imagine listening to it myself. Well done. Thanks Michael and I am very glad you enjoyed the review. Thanks for the insightful review. It’s very clear you’re enamored with the sound! Sounds like a terrific amp! What, if any, do you feel are it’s shortcomings? Are there phones you wouldn’t expect to have good synergy with the amp? Are there any areas you felt were bettered by the other amps you’ve heard? Thanks Lee. I believe in its price range there are no major shortcomings. If there was one, I would suggest that it could play a little louder but I listen at very high levels at times. I don’t believe the Hifiman HE6 would be a fit for the the MK111. I tried the Beyer 770 80 ohms and both the T1 and hD800 with the lCD2 and the LCD3 and all worked well. As good as the Oppo 95 is, the Oppo 105 is in another league. Perhaps you can update your review sometime using a different source? Did you inquire with Steve about the hum when the CSP2 was connected? Is that to be expected? Being able to listen to cans and speakers seems like a very good thing but dealing with the hum? Hmm, not sure…. The hum disappeared when the volume control on the Mk111 was backed down half way. I did mention it to Steve Deckert and he suggested it may have been a tube but I suspect it was using two volume controls without a variable input. For my needs now I like the Oppo BDP95 but I may upgrade at some point. Nice review, Frank. This amp has vaulted to the top of my list for when/if I decide to move on from the Super 7. Thanks Olias . Glad you enjoyed the review . Very helpful review, Frank! Would you say that you preferred the Senn HD800 to the Audeze’s on the new Taboo? Were the effects of tube rolling more apparent with the HD800’s? Thanks again. I liked the hd800 better than the lcd2 as it has the bigger sound stage and the lcd2 benefits also from the power but the tube rolling is evident with both headphones.